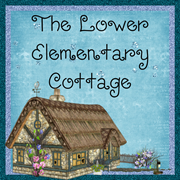 Note: LIsa and I are blog swapping for the day so you will find my post over on her blog The Lower Elementary Cottage, and she is going to share her experiences and strategies working with students on the spectrum. Hello, my name is Lisa and I’m so excited to be a guest blogger on Autism Classroom News! I am a K-2 teacher who works with children with mild-moderate disabilities with my main focus being on Autism and Asperger’s in my classroom. 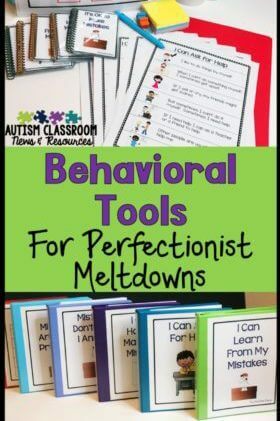 I’m here to give you some tips and tricks for helping students with autism be more successful and independent in the classroom. The reactions my students have to situations can often appear rude in our society. For example, a student may laugh when another student gets in trouble. I use social thinking to help them understand. I may say “the way you laughed made your friend think you were being mean to them. Maybe next time you could say, “What a bummer. 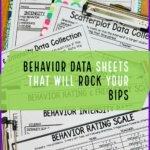 You’ll do better next time.” The SuperFlex Curriculum is great for teaching the kids to think about their behaviors and reactions to different situations. Another challenge I often see is the inability to stay focused. 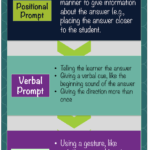 I have students who will either be distracted by peers or start “stimming” in the middle of a lesson or assignment. 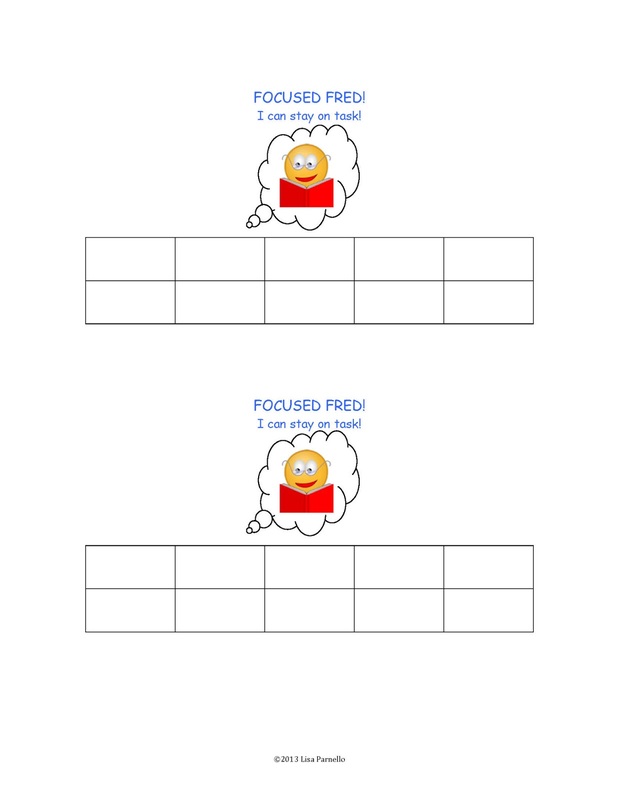 With this in mind, I created “Focused Fred” along with my friend the speech teacher to help praise my students for moments they were completely focused on the task. This positive reinforcement encourages my students to stay on task and helps them become aware of their off task behaviors because they know they didn’t earn a star. When they earn all 10 stars, the students get to pick a prize. I keep it laminated and taped to the desk and give stars using an overhead maker. This way I can use water to wipe it off and reuse the same chart over and over again. You can download Fred for free here. Similarly, my students also crave help on their work. I believe this is a bit of learned helplessness because they really do need help on so many things. As an alternative to “Focused Fred,” I made “Independent Iggy” for the kids who always ask for help even when they don’t need it. I try to foster independence in my students and I try to help them believe in themselves and their ability to do something on their own. You can download Iggy free here. Another struggle I often see with my students is fine motor skills. These troubles often manifest during writing time and can cause immense frustration and even tantrums. I have a couple of very simple solutions. 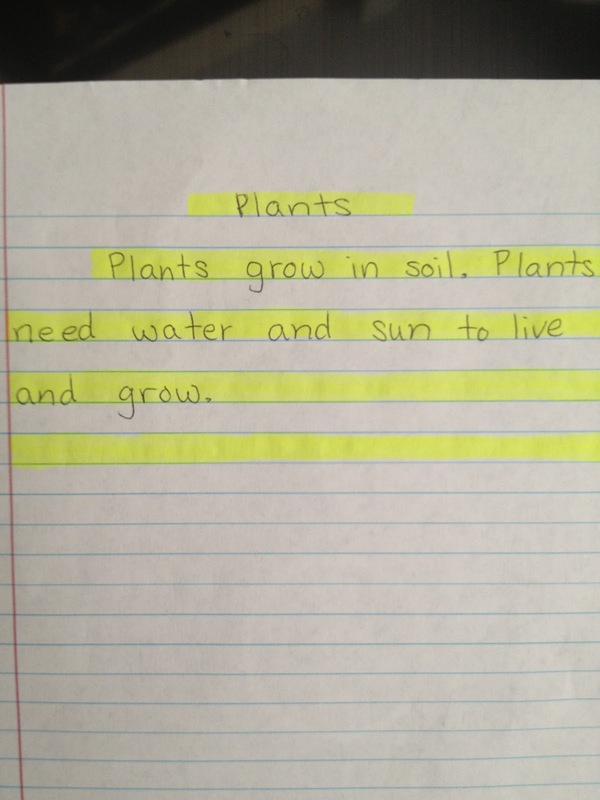 One is to have the students type narratives instead of writing them by hand. Most of my students type 2 or 3 times faster than they write. Another option is to use a highlighter and have the student skip lines. 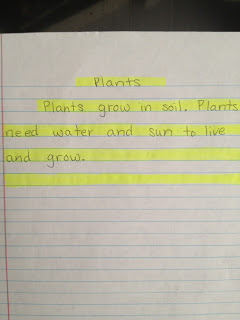 The bright visual lines help the students see where to write. I have had several students do this for a month or less and then write on the lines consistently without the highlighter after that. Here is a picture of how it would look. Notice the indentation and title section, this helps the student also learn proper paragraph formatting for writing essays. Thank you so much for reading my guest post! 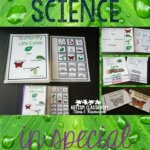 For more classroom ideas and strategies please stop by my blog The Lower Elementary Cottage.